What are the best rural broadband plans? Comments Off on What are the best rural broadband plans? Internet options for rural New Zealand used to be as rare as hen’s teeth and as slow as watching grass grow. Fortunately for those living outside of cities and towns, there has been some real improvement in the last several years thanks to the Government’s Rural Broadband Initiative, which forms part of the $2 billion Ultra-Fast Broadband programme. The Rural Broadband Initiative’s first stage connected 300,000 non-urban houses and businesses with new or improved broadband services, and a further 70,000 will be connected in the second stage. The Rural Broadband Initiative recognises that rural and remote areas of NZ needed intervention to have access to fast broadband and mobile services, according to the Ministry of Business, Innovation and Employment. This was needed to improve efficiency in the rural sector, plus improve education and health by connecting schools and hospitals. The improvements include some fibre, faster ADSL and VDSL copper connections, as well as fixed wireless broadband available through cellphone towers. While coverage of rural broadband has improved, whether or not you can get coverage in your home or business depends on exactly where you live. ADSL and VDSL connections will vary depending on how far away you are from a cabinet, while fixed wireless broadband involves line-of-sight from cellphone towers. All this means you might not be able to get the same broadband as your neighbour, and you will need to check with the providers if they cover your premise. What are the best rural broadband providers? While the best providers will depend on where exactly you are in the big open spaces of New Zealand, here is a guide to internet providers and the best rural plans they likely have to offer. If you want to go with no contract, this offer is available for a $49 connection fee and $99 Skinny modem, or you can get these for free with a 12-month contract. 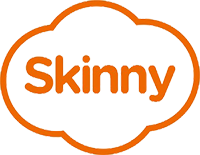 To check if you place is covered, Skinny does offer an address checker; however, you will need to select “unlimited broadband” first if you are in a rural area, as Skinny’s wireless broadband coverage is quite limited. All of these plans are on a 12-month contract, or you can have the option of paying more per month with no contract terms. You can also add a home phone line for $5 per month. Flip allows you to bring your own modem or you can just buy one for less than $100, and it has a cheap installation fee of $25. Flip also has an easy-to-use address checker, so you can conveniently check if coverage is offered in your part of the country. Farmside is a Timaru-based company which touts itself as the “number one provider of broadband to rural New Zealanders” and is a partner in the Rural Broadband Initiative. Farmside provides a range of services to ensure coverage is provided for all remote locations, including fibre, ADSL, VDSL, 4G wireless broadband and satellite. These plans are for a 24-month contract, and data boosters are available. A home phone line is available for an extra $6-10, depending on which service you use. With these plans, Farmside offers the option of self-installing or using an assisted installation. These packages are for a 24-month plan. Data boosters are also available. There is an installation fee of $799 plus travel charges. A home phone line is available for an extra $20 per month but there is also an extra charge of $124.99 for an analog telephone adapter. Farmside also offers special packages for Haast and the Chatham Islands. Farmside does not have an address checker on its frustratingly slow website so it is difficult to check what is available in each area but it does offer an 0800 number for those wanting to find out more. These packages are available on a 12-month contract and include a free modem, standard connection fees, Lightbox standard and Spark’s Wi-Fi hotspots. The unlimited plan also comes with Netflix for six months. Extra data costs around $1 per Gb and a home phone line can be added for $10 a month extra. Spark has an easy-to-use address checker online, where you enter in your address and it tells you what options are available for your premise. What internet providers are available in my region? What if you’re still not covered? If you live in a very isolated part of the country and you are still not covered by broadband – or you don’t want to pay for satellite broadband – then another option could be coming your way shortly. The second phase of the Rural Broadband Initiative will connect a further 70,000 rural premises to high-speed broadband by the end of 2022. When complete, just 1% of the country will not be able to be connected.